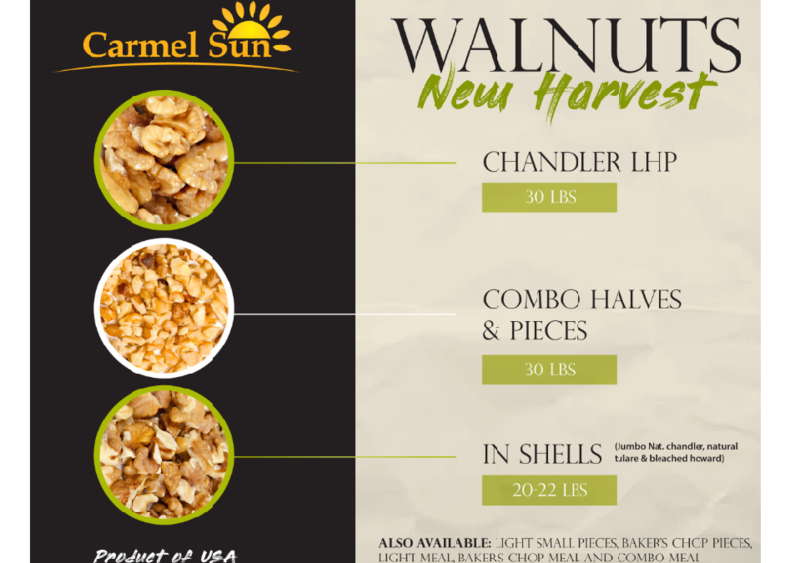 We take pride in our consistent and high-quality Carmel Sun Walnuts exported all throughout the world. 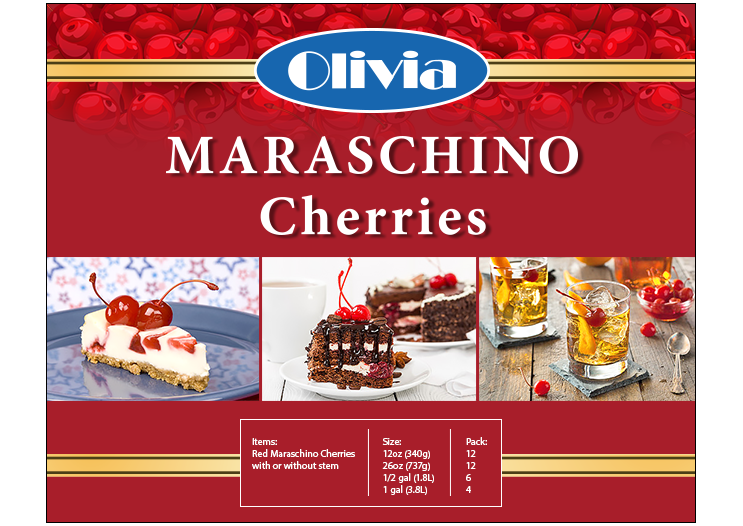 Email us now for more information, quotes or samples. 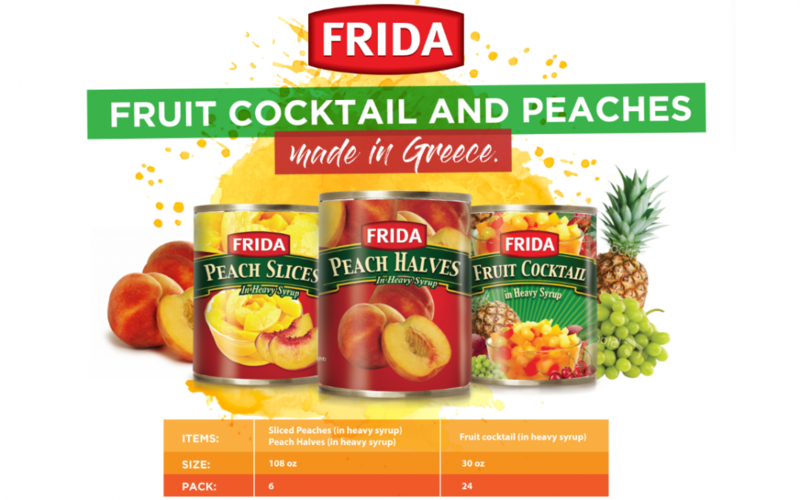 Olivia Fruit Cocktail and Olivia Peaches are carefully selected by the finest growers in Greece. It’s strategic location and climate can sustain the diverse agricultural produce. 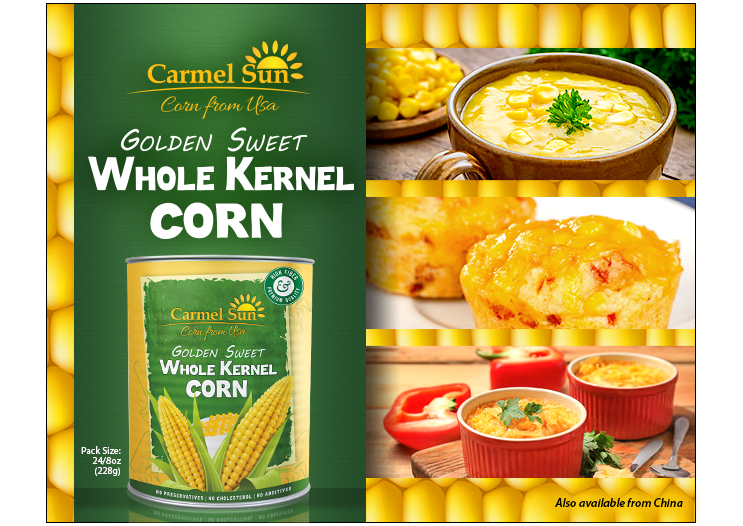 Carmel Sun Sweet Corn is now available! Take advantage on a record crop and historically low corn pricing as we offer our Carmel Sun Golden Sweet Whole Kernel Corn! Our canned corn is ideal for retail, food service and institutional market. We ensure to supply the demand for corn year-round.